Biologist, philosopher, anthropologist, poet and essayist. He was awarded the Tom Stoppard Prize (2006). His texts have been translated into German, English and Arabic. He was born on 6 August 1958 in Jindřichův Hradec. The Man as the evolutionary Innovation? 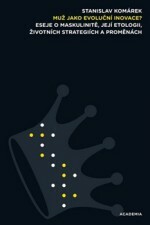 Eseje o lidských duších a společnosti II. 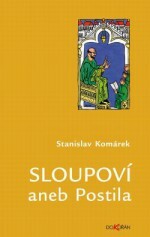 Essays on Human Souls and Society I.
Eseje o lidských duších a společnosti I. 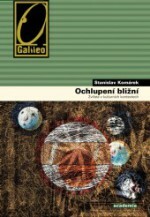 In short, The Mandarins is a success – it is possible to admire the intelligent insights, laugh at the amusing observations and jokes, learn from the pertinent descriptions of distant and nearby phenomena and landscapes, while those searching for something deeper will also not leave empty-handed. He studied biology and emigrated to Austria in 1983, where he lectured and went on to study ethology, zoology and anthropology. 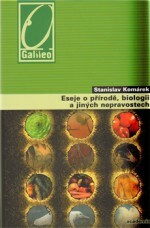 After the fall of communism he returned home and began lecturing at the department of philosophy and history of natural sciences at Charles University’s Biological Science Faculty. He emphasizes the links between natural and human sciences and the relationships between natural and cultural phenomena. Today he is a professor of the philosophy and history of the natural sciences and lectures at several institutions. He made his debut as a poet when he was in exile, when a small Viennese publishing firm brought out a poetry collection called Kartografie (Cartography, Alfa, 1986). 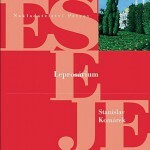 After returning to Czechoslovakia he concentrated mainly on essays and he also published two volumes of poetry Kaligrafie (Calligraphy, Gryf, 1994) and Holografie (Holography, Gryf, 1998). 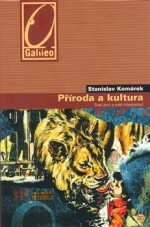 He became recognised as an author of fiction in 2002 with the novel Opšlstisova nadace (The Opšlstis Foundation, Petrov, 2002) with the subtitle Nepravidelný román (An Irregular Novel). 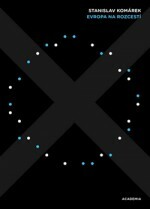 The main character is Viktor Kapla, a scientist who, like the author, goes into exile in the 1980s and searches for his place in a bureaucratically complex new world. He accepts an invitation from the mysterious Opšlstis Foundation to go to Istanbul to study the history of Slavonic regiments within the Ottoman army. 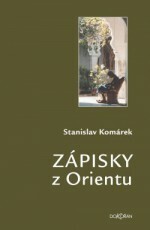 In a novel which combines an emigré’s problems with a magical historical conspiracy, Komárek excels with his linguistic originality and a number of humorous episodes. Despite the fact that the book’s plot is fictional, he describes the experiences and adventures of the exiles with a sparkling truthfulness. 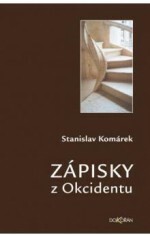 “Is it an adventure novel about a global conspiracy which travels through history like Ecco’s Foucault’s Pendulum, where Komárek’s Order of the Templars plays a similar role to that of the Janissaries? Yes and no. 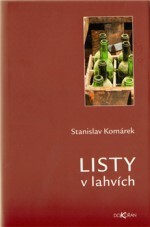 Komárek develops the plot against a background of constant ironic commentary. 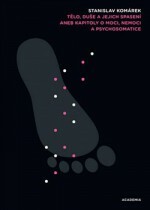 The text is filled with a number of digressions, examples, analogies and information from the worlds of ethnography, sociology and biology. Perhaps this polymath can’t help showing off his erudition, but at the same time the author holds the text up as a kind of sarcastic enlightened treatise,” wrote Jiří Peňás in a review. 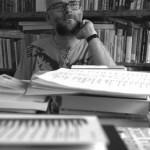 After the collection of essays, Mír s mloky (Peace with the Newts, Petrov, 2003), the author published his second novel, Černý domeček (The Little Black House, Petrov, 2004). 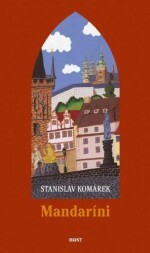 This short family saga about one household in a South Bohemian village allows the author to pile historical and social curiosities onto the plot. 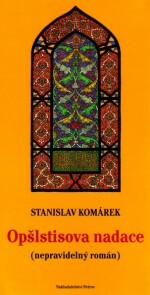 Stanislav Komárek’s third novel, Mandaríni (Mandarins, Host, 2007), is written in a similar narrative spirit to his humorous essays – the main character is a sinologist, Jindřich Krottenbacher, who experiences a turbulent period in his life from 1989-2000 when he is surrounded by too many dead bodies, curses, black magic and assassins. The scientific line of the book humorously explores a host of problems including a new book by Karl May, the lives of Anna the Proletariat as well as a newly discovered letter by Vladimir Ilyich Lenin. 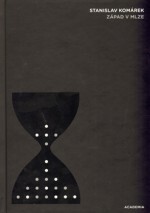 “The main character in this unusual novel, Mandarins, is the wild and fertile period of the 1990s, which develops in the novel, matures and intensifies, it is observed anxiously (understandably not through the eyes of a political commentator, but from the corridors and windows of scientific workplaces) and then gradually withers to an inevitable deadlock in the piles of forms which it has created. Streams of energy, as though all at once after decades they had emerged from the riverbeds, so that after a short period of fruitful chaos, they gradually create new riverbeds. Krottenbacher and the other mandarins are then just coloured particles, whose visibility allows impartial scientists to track the movement and direction of the wind which carries them,” wrote Božena Správcová about the book for the magazine Tvar. 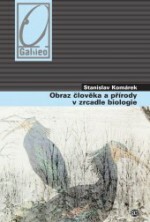 Stanislav Komárek has written dozens of essays, scientific commentaries and popularizing science books.